Pat Foy, DDS received his DDS at the University of Nebraska Dental School followed by a General Practice Residency at the Veterans Medical Center in Minneapolis, Minnesota. 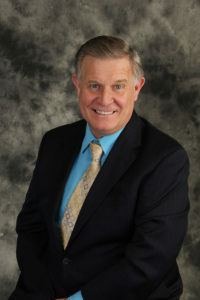 Dr. Foy owns and practices at Creekside Dental in St. Louis Park, Minnesota. Long involved in organized dentistry, Dr. Foy serves on the American Dental Association’s Council of Ethic, Bylaws, and Judicial Affairs and is Past President of the Minnesota Dental Association. He has represented the Dental PBRN on the Executive Committee (PAC). Dr. Foy has been actively involved in many PBRN studies in his own practices and enjoys “banging the drum” to help engage fellow professionals. Click here to view Dr. Foy’s CV. Dr. Hamilton is deeply committed to exceptional care and is known for her compassionate regard for the dental health and personal wellbeing of each and every one of her patients. One of her advanced specialities is orthopedic orthodontics, helping patients to improve their airway for more restful sleep. Dr. Hamilton is recognized nationally for her expertise in children’s growth and development orthodontics. Proper newborn nursing can benefit an infant for a lifetime , Dr. Hamilton pays particular attention to tethered oral tissues (TOTS) early on so they do not become an impediment to proper breathing, growth, and development. Dr. Hamilton utilizes the CO2 laser in revisions of tongue and lip ties for infants, children, and adults. A graduate of The University of Nebraska College of Dentistry, Dr. Hamilton co-founded the Uptown Smile Dental Clinic and grew the practice over 35 years until joining Creekside Dental in 2018. She also co-founded Cannon Falls Smiles in 2006 where she still also practices. Dr. Hamilton is a member of the American Academy of Physiological Medicine and Dentistry, the Academy of Orofacial Myofunctional Therapy. Dr. Hamilton works with the top dentists in the country to provide advanced guidance in complicated treatment and case planning for patients with the most challenging restorative and/or physiological needs. Her personal hobbies include training her dogs, scuba diving, snow skiing, fitness training, and golf.